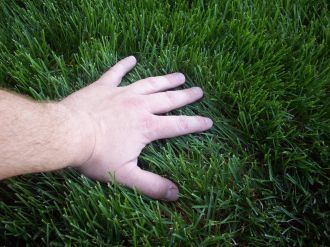 Sprinkler tune-up - inspect and adjust your system. Visit our Sprinkler Tune-Up page. 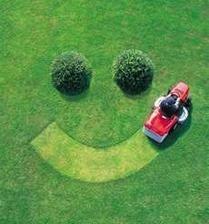 Maintenance of sprinkler systems - we will take care of your system. Visit our Maintenance Agreements page. Mark-out for a new fence - marking-out the sprinklers & their feed pipes, mainline pipe, & wires. 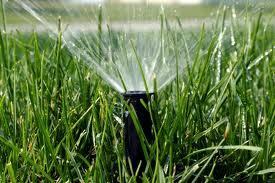 Repair and replacement of irrigation system parts - we can repair or replace any part of your sprinkler system. Modification of existing irrigation systems - move or add a sprinkler, add an entire zone etc. Power washing drives - only in October-November-December - so the drive will stay clean most of the year. We work hard and take care to provide you with high quality services that are personalized to your needs. We will find the best solutions for you. We only fix what needs fixing - and that's all you pay for. We do not replace an entire sprinkler control valve (expensive) when the problem is with one of its replaceable parts (e.g. diaphragm or solenoid). We repair your sprinkler system using the same brand of parts already in it. We use Schedule 40 (thick wall) PVC pipe & fittings on all our work - not thin wall pipe that cracks due to roots etc. Our work comes with a 3 year warranty on parts and labor. If there is any problem with your system due to our parts or labor under warranty - we will fix it for free. We care most about having happy customers who want to stay with us (and tell their neighbors, friends, & family). Have an issue? Please contact us! Sometimes things don't go they way they should - but we will put it right. After all - it's the putting right that counts! If you have any questions about our services - please Contact Us.